BEVERLY HILLS, Calif. — The street known around the world as the showcase for new trends and the finest products is now home to reasonably priced liposuction, face lifts and breast augmentation. Located among the boutiques and bistros in the world famous Rodeo Collection at 421 North Rodeo Drive, Rodeo Drive Plastic Surgery (RDPS) is the first and only plastic surgery center on Rodeo Drive. “When you mention Beverly Hills, people think plastic surgery,” says Lloyd Krieger, MD, founder and medical director of the new center. “It just makes sense to finally open a center on the city’s most famous street.” The center, built with a view of Chanel, Hugo Boss and other retailers, is modern in design with crafted leather patient exam chairs and operating tables. Each suite is a different soft shade of sherbet, such as lime, banana and peach, with overhead lighting details to match. Expansive windows and bamboo flooring accent the aesthetically rich patient and physician environment. Three Andy Warhol pieces adorn the waiting areas. With the most expensive and newest surgical equipment, patients will be treated to comfort and luxury as never before. 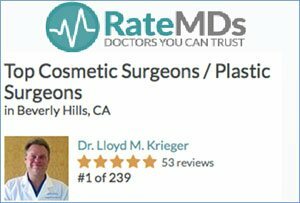 Lloyd M. Krieger, MD, MBA, serves as founder and medical director of Rodeo Drive Plastic Surgery. He specializes in plastic surgery and new methods for managing patient care. His research on improving plastic surgery practice efficiency and patient care has been published in leading medical journals, with more than 20 articles published in Plastic and Reconstructive Surgery. His articles have also been published in The New York Times, The Los Angeles Times, The Wall Street Journal and Barron’s. Krieger earned his medical degree at the Pritzker University of Chicago School of Medicine and completed his residency in combined general surgery/plastic surgery at UCLA. 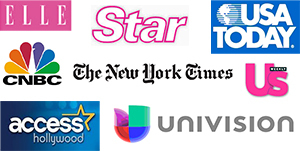 He earned his MBA at the University of Chicago Graduate School of Business and his BA at Stanford University.